The VP of HR is a key new role at Jam City that will serve as Head of HR. 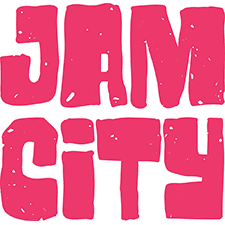 To fill this role, Jam City is looking for an individual who can be a true HR Partner; someone who will go beyond the operational duties and provide a strategic force helping guide the company’s large and fast growing workforce into the future. The gaming industry is highly competitive from a staffing/personnel standpoint, and Jam City wants to continue being a place the industry’s top talent wants to work, play – and stay. The VP of HR must be both “human” and “resourceful” to everyone at all levels of the company. Knowledge and experience will be super important (i.e. you can deftly field questions about benefits, health care, pregnancy, time off, options and other HR-related matters), but “bedside manner” will also be critical to the role’s success. This means the VPHR must be an intensely pro-Jam City advocate who people will feel comfortable talking to and seeking help from. In other words, you will be far more than an HR administrator. In part, this also means the VPHR will have a hand in helping shape not only such things as what benefits the company will offer and how it will keep its employees well, but also where the company is headed in the future, working closely with the CFO and CEO. You’ll be inheriting a solid staff, stable foundation and have a clean slate to shape this new position in the way that you want. Current HR staff numbers about 4. As the company headcount continues to expand dramatically – both organically and via acquisitions – HR is undergoing a variety of changes. For example, is transitioning from ADP to Workday. Jam City is about empowerment and this role represents an opportunity to create a world-class HR practice while building on a solid foundation. On the recruiting side, Jam City uses the Lever platform, although the company does not currently anticipate that recruiting will report into the VP of HR. This is a huge opportunity for a skilled team player, partner, and someone with the confidence to be an influencer in a high growth company. HR is moving to more of a proactive discipline that needs an analytically driven HR leader who can make this a value-add department, providing insights and guidance across the organization. You will serve as a forward-thinking leader, responsible for planning, scaling, designing, and executing HR services and programs that are aligned with the company’s business model and strategic direction. You’ll help lead culture development and will be a key driver in the company’s success. Also note that because the company has studios in multiple cities & countries, some travel may be required as you meet with people in various locations. Exceptional knowledge of best practices in HR and issues impacting a multi-state and multinational workforce such as Jam City’s. You have 10+ years or more of solid experience at a substantial company, preferably in an adjacent space (perhaps a studio in L.A. for example) and also have worked at a smaller company (<500 employees), and have unique knowledge of tech culture, an analytics mindset and a knack for dealing with software developers, engineers, creative artists and others. Familiarity with HR issues involved in acquisitions and integration of acquired personnel. Demonstrated strong leadership in HR; knows the process, discipline, communications and has a solid framework across the entire HR function. An ability to communicate effectively with different age groups and personality types, and also help train and mentor managers to be better at managing their own direct reports. Strong experience and knowledge of performance management tools and systems. 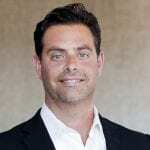 Extensive experience in managing staffing and employee relations, compensation programs, benefits, retirement plans, safety initiatives, audits, and talent management functions such as learning and development, succession planning and performance management. Ability to think strategically but also focus on operational issues. A track record of building strong, effective teams of people with complementary skills. Ability to communicate effectively at all levels – with the CEO, senior leadership team and employees. Stellar written and oral communication skills, project management skills and collaborative problem solving skills. Immediately and effectively provide leadership to all Jam City team members and management on all day-to-day human resource matters. Ensure full regulatory compliance in areas such as EEO, Fair Labor Standards, Wage and Hour, FMLA, and others. Lead by example; create a department that is cohesive, innovative, and results driven. Develop a departmental culture that establishes HR as a proactive and consultative business partner. Lead/oversee support to the senior management team related to executive compensation and benefits and company-wide talent management/succession planning. Define and implement a reporting and analytics function within HR. The company is not currently doing much of this but should be. Define and implement effective documentation for job requirements, career path setting and performance management. Manage compensation programs across the company. Ensure that Jam City has effective, highly competitive compensation and merit increase programs. Promote quality, safety, security and wellness in all HR activities. Ensure that HR has access to key data. Own the analytics across areas such as: employeeattrition and satisfaction, benefits opt-in rates, compensation data, and other key metrics. Create and deploy effective training curriculum and programs that support employee development, increased satisfaction, and overall business objectives of the company. Guide management through organizational development and change management initiatives including organization design, evolution, and development. Build relationships with employees at all levels; ensure that new hires (including those hired via acquisition) are integrated effectively into the organization. Work with senior management to develop effective employee communication programs and continue to define and refine the Jam City culture. Bachelor’s degree and 15+ years of progressive Human Resources experience. Demonstrated business acumen: intellectually curious about organizational systems andstructures, business strategies, and informed about emerging industry trends. Verifiable track record of success partnering with management, serving as a credible and trusted resource. Demonstrated strategic thinking: able to envision, distill, communicate, develop and implement short and long-term human resource/change management initiatives. Outstanding interpersonal skills; demonstrated influence and diplomacy at all levels. Technologically astute with experience using HR systems and platforms. Strong project management skills with the ability to prioritize in a fast-paced environment. Flexible and adaptable to changing business requirements. Smart & Nimble: High IQ and a proven “quick study” who has adapted quickly to changing technologies, models and market dynamics. Credible: Highest standards of integrity, honesty, and judgment. Charismatic Communicator: A polished presence, self-confidence, gravitas and a certain level of intensity; articulate; confident; able to convince and motivate others and inspire teams. Decisive and driven to succeed; able to drive critical-path decisions, prioritize and resource projects and programs that will ensure success; unquestioned work ethic. Analytical and adept at collecting and using data to improve operations and make better decisions. Comfortable with analytical tools and techniques. Team Player: Extremely well organized, take-charge professional able to work with teams and is strong on follow-through. Must understand the interrelationships of systems, business processes and individuals in the company.